Cruise Lady Musgrave. Fraser Island has been the playground for Fraser Escape’s vessels for about 10 years and over these years the pristine waters have provided our charterers with hundreds of unforgettable memories. With stunning scenery, unique wildlife encounters, sheltered waters and great weather, there is no doubt that Fraser Island and Hervey Bay’s aquatic haven, the Great Sandy Straits, is the perfect place to charter our yachts. 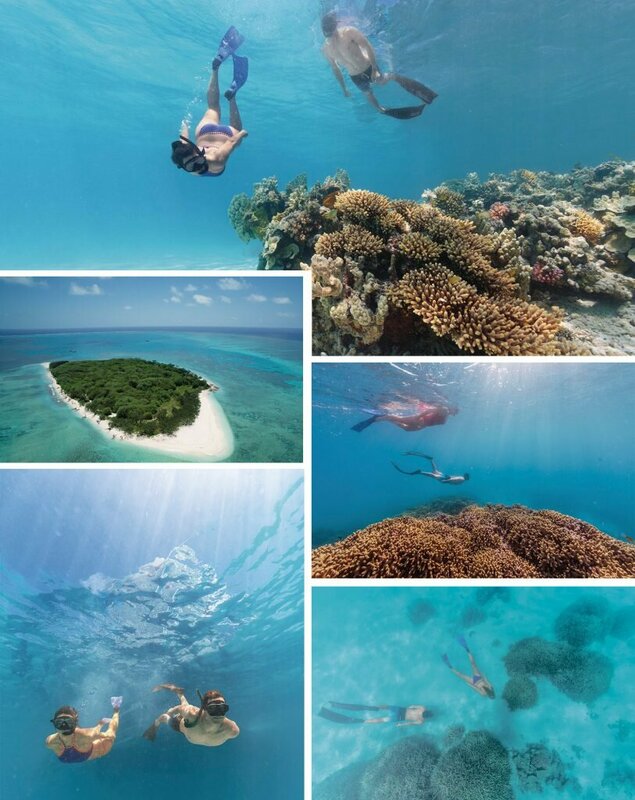 We are excited to announce that in addition to all that Fraser Island has to explore, we can now offer the opportunity to extend your charter area to the beautiful Lady Musgrave Island! When aboard our new Leopard 46 ‘Ying Yang’ you can now set sail to the iconic Great Barrier Reef from right here in Hervey Bay. Lady Musgrave is located on the southern end of the World Heritage Listed Great Barrier Reef. Her huge lagoon is a popular anchorage as it offers shelter, great fishing and spectacular snorkelling. Throw a line in and catch the freshest dinner you’ll ever eat; Red Emperor, Coral Trout, Parrot, Bream, Coral Cod… the list goes on. Put your goggles on and glimpse the reef teeming with aquatic life; coral, fish, turtles, dugongs and harmless reef sharks. When you step ashore, tread carefully along the white coral beaches as green and loggerhead turtles nest on Lady Musgrave’s shore. As you wander amongst the native Pisonia forest, keep your eyes peeled to see up to 50 different species of birds; oystercatchers, terns, gulls, eagles and at the right time of year the wedge-tailed shearwater. Only a day’s steam from Urangan Harbour to Lady Musgrave, ‘Ying Yang’ is the perfect platform to explore the island. No need for a crowded passenger ferry, controlled group snorkelling or to book a camp site eleven months in advance. It’s just you, your friends and family and your own private luxury yacht. To make the trip a safe one, sailing experience is necessary. If you want to get the most out of the experience or you really want to put your feet up, there is the option of hiring a guide and/or cook for your charter. So if you want to push the [charter] limits on your next bareboat adventure, jump aboard ‘Ying Yang’ and explore the Great Barrier Reef with Fraser Escape Charters. You don’t require a licence to charter one of our cruisers. We brief you completely before you set out and are on hand to help you with all aspects of skippering during your time with us. The Fraser Coast is only 3 hours drive north of Brisbane, while Virgin Blue, Jetstar and Qantas have direct flights from Sydney and Melbourne into Fraser Coast airport, just 5 minutes from our Hervey Bay marina. We have a wide range of cruisers available for an unforgettable sailing holiday from $83 per person per night. The sheltered waters of Hervey Bay offer a unique opportunity to see the magnificent humpback whales and their calves taking a ‘breather’ from July to October each year on their annual migration south after calving in the warm waters of the Great Barrier Reef.